Evelyn is a medical doctor and global health researcher, with a doctoral degree in the field of perinatal medicine and an MSc Public Health from LSHTM. 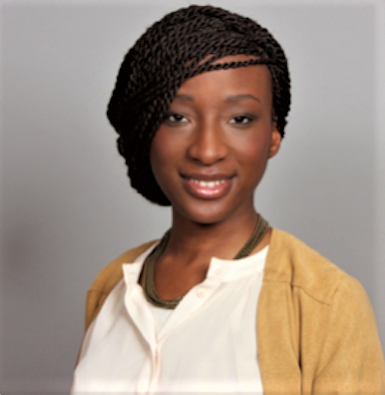 She is currently engaged at the interface of global and national public health, working for the refugee services in preventive and migration medicine under the medical directorate of the Charité in Berlin. She is a keen advocate for global equity, sexual and reproductive health, and her interests are focused on health policies and programme implementation, particularly in the field of sexual and reproductive health and disease prevention. In the long term, she is striving to advocate for and drive evidence-based global health policy at the international level for every woman and child, everywhere. I would like to achieve my full potential as a doer and change maker in my profession of health. With a gender lens in mind, I believe the Women Leaders in Global Health mentorship programme offers a unique and refreshing opportunity to engage with and learn from highly inspirational individuals in the global health field. As a global health community, we should strive for diverse and equal representation in leadership as both men and women benefit from it. The world needs new and innovative solutions in our aims for health, equity, and human rights, and I believe we need all hands on deck to achieve these goals. This kind of programme can offer a vast presentation of leadership and leadership skillsets to learn from. To get extra insight can be a game changer in navigating one’s professional career. It also offers early and mid-career women access to advice from those who have broken, are breaking or are helping to break the infamous glass ceiling on female and diverse leadership in health. By bringing together individuals from different career levels, mentors and mentees can share unique perspectives on various situations and grow fruitful relationships with each other. In a way, communication leads the way to sustainable change as through shared knowledge mentees can multiply that benefit elsewhere. What do you see as the key issues for women’s leadership? I think the lack of female representation is complex and interlinked with other factors. But as Elizabeth Maclean pointed out in her 2017 study on recognising female leadership, when men and women are asked to draw a ‘leader’, they both tend to draw men. This shows an equal lack of recognition of the potential of female leadership regardless of gender. It is up to us to change that by giving female leadership a broadly recognised platform, to equally recognize women as the leaders they can be and are. What challenges have you faced in a global health career? Most challenges in my career and in our structured medical training have been equally shared by men and women. However, I clearly recognise the challenge of recognised competency for myself and other women especially those striving for leadership position in health. Male and female stereotypes of what both genders should do, look like and are capable off too often obscuring our views to adequately assess the individual’s competency, be it as a female doctor or male nurse. I hope we as a society might someday be able to leave those outdated concepts behind to maximise everyone’s full potential, for everyone’s benefit. I deeply admire Dr. Matshidiso Moeti, the current and first female WHO Regional Director for Africa. She has qualities of resilience, competency and endurance, and has created and contributed to changes for people and health. She gave the address for my Masters programme graduation at LSHTM and made clear that sometimes the road to change in global health might be unclear, uncertain - and a lot of times about timing - but just as much ought to be about taking one step at a time and being passionate about your work. Her path was not straightforward but a clear mind has guided her through a 35 year public health career. How do you think this type of conference could impact women’ leadership in global health? On a grand scale, through conferences like this one, women in leadership positions are made visible .They inspire new generations of female leaders in health globally, and individually foster networks and connections between like-minded people. This in turn strengthens the path for a more equal and diverse representation in global health and everywhere else. I am excited for this year’s programme, the people and the intense discussions in London. Thank you for having a read and see you there!